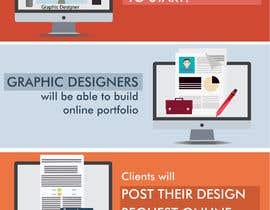 We are currently looking for an infographic that will show the flow of our upcoming graphic design bidding website. The flow of our website will go as followed. 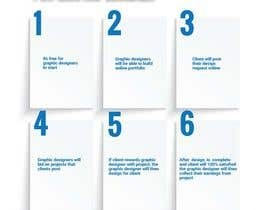 Bid on various projects and start designing for clients around the world. Designers will be able to compete, show off their creativity, and receive their earnings. 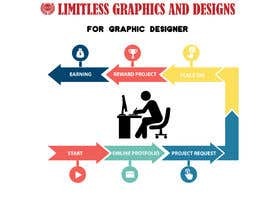 - Its free for graphic designers to start! 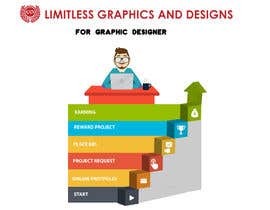 - After design is complete and client will 100% satisfied, the graphic designer will then collect their earnings from project. This will be an infographic to show the flow of how our upcoming website will work. 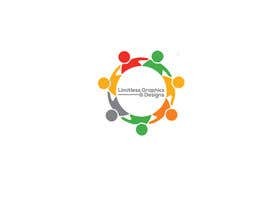 The design has to be creative and appealing to the eyes of graphic designers nationwide. Please use flow of our website to create the design, you may switch up the wording if needed. This will be used for advertising and clarification of flow.